"Piano magic” is a blend of twelve different styles of piano including Classical, Jazz, Latin, Russian Folk, RagTime, and Boogie Woogie. Sergei Novikov moved from Russia to America at age 21 with a dream of living his life as a free man. With that goal and his music, he has performed for such luminaries as President George H.W. Bush, Secretary of State Condoleezza Rice, Vice President Joe Biden as well as Billy Joel and Paul Newman. Sergei also received official recognition from Queen Mother of England for his music and performed a solo concert in the same Classical Concert series as the conductor of Boston Pops Keith Lockhart at Copley Square. Over the past 20 years, Sergei has sold over 500,000 CDs and performed live thousands of times. 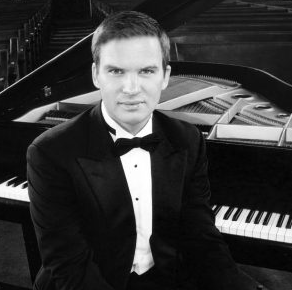 Come hear him play the Cultural Center’s gorgeous Steinway in our acoustically stellar Great Hall. Complimentary refreshments.